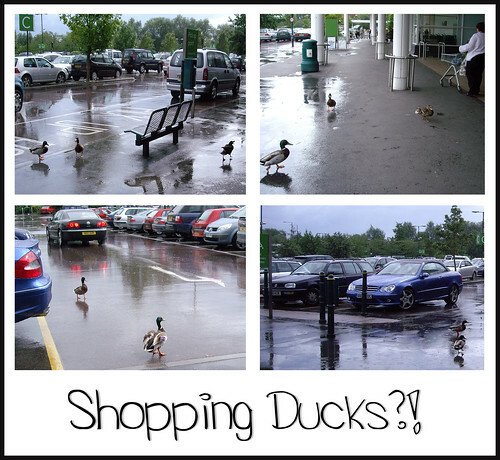 First I went shopping in Waitrose only to see these ducks making a commotion outside in the car park. Not sure where they were keeping their cash or debit cards and they obviously weren’t environmentally conscious as they didn’t have their recyclable bags with them! Kudos to them for picking one of, if not the nicest supermarket chain available in Salisbury – then again it might just be the proximity to the river that made this their choice. Though to be fair both Tesco and Sainsburys are right on the river, though the steps up to Sainsburys might be off putting. Then this group of shady duck characters turned up on my wall for what seemed like a clandestine planning meeting. Each arrived alone, looking shiftily around to check they weren’t being followed. For some reason they seemed to ignore me or not be all that good at recognising they were under surveillance from a human. They also all left individually and in completely different directions. They stayed up on my wall for a good thirty minutes quacking away to each other, no doubt plotting their Machiavellian revenge on human society. You have to wonder if they’re looking to organise and boycot the local Chinese takeaways next! Then again I might just need to get out more (grin). If you hear a menacing quack watch your back! 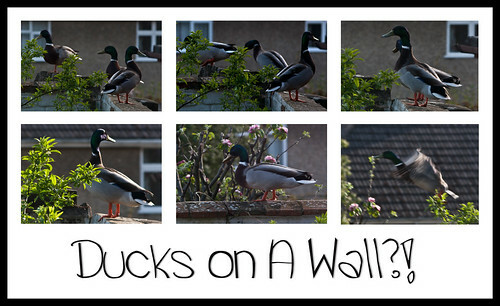 This entry was posted in My Art, My Blog, Photography and tagged duck, ducks, ducks in car park, ducks in strange places, ducks on a wall, ducks shopping, funny, humorous, mallard, mallard duck, photo, photograph, photography, ruth weal, wealie. Bookmark the permalink.